Affordable high-throughput, high-resolution, maskless photolithographic patterning for research, product development and low-volume or customized manufacturing. 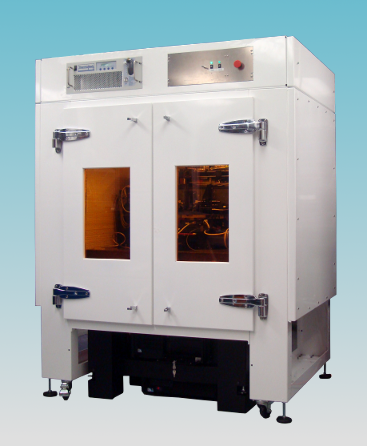 Environment: The ZP-150 includes an environmental enclosure for critical areas of the tool controlled to ISO Class 4-5 for particulates, and temperature stabilized to 0.1°C. We recommend the installation environment be clean to better than ISO Class 7 (Fed Std. 209E Class 10,000) with temperature stability better than 5°C. Vibration: Recommended environmental vibration criterion better than VC-C (500 micro-in/sec). Installation on ground-level concrete or other solid flooring recommended. Pneumatic isolation is integrated in the ZP-150 making floor-level isolation unnecessary. Facility Access: All components of the ZP-150 are fully castered to simplify movement and location in the lab. If necessary, all components will fit through a single 84”x36” door opening although we recommend double-wide door access. All rights reserved © LumArray, Inc., 2009-2019.